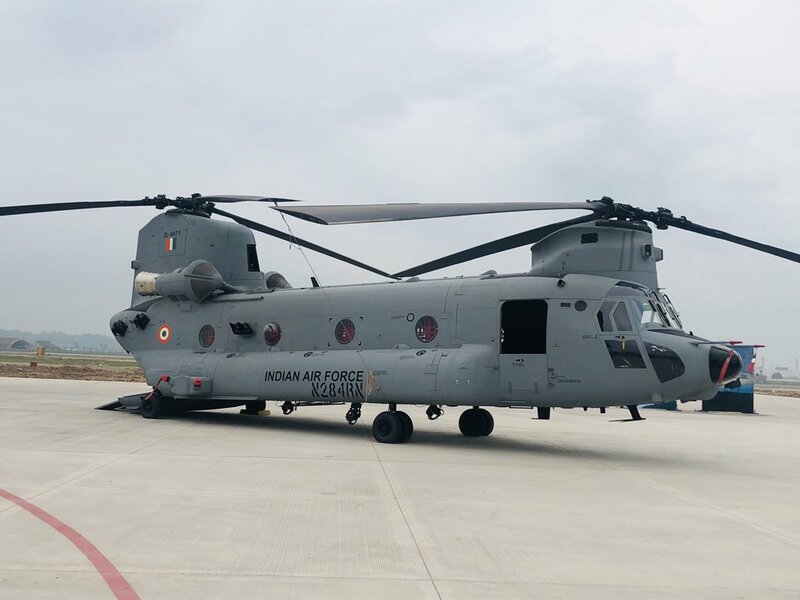 The Indian Air Force inducted the first four Chinook helicopters capable of transporting artillery guns and combat-ready troops to forward and high-altitude areas, especially along India’s borders with Pakistan and China. The acquisition not only boosts India’s defence preparedness vis-avis Pakistan and China through the swift deployment of men and machines, but also places the India-US defence partnership on a firmer footing. 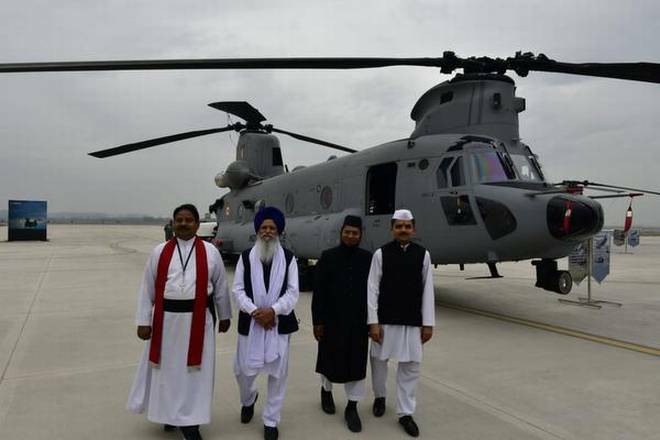 The first of the iconic machines, with their unmistakable twin tandem rotors, became part of the IAF’s 126 Helicopter Flight squadron at an official ceremony in Chandigarh presided over by IAF chief B.S. Dhanoa. 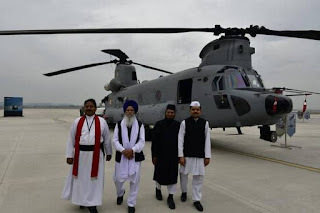 The helicopters are a “national asset” and a “game changer” for the IAF, Dhanoa said at the induction ceremony. Given its all-weather and day-and-night operation capabilities, the Chinooks would “redefine” the IAF’s heli-lift capacity, said the IAF chief. 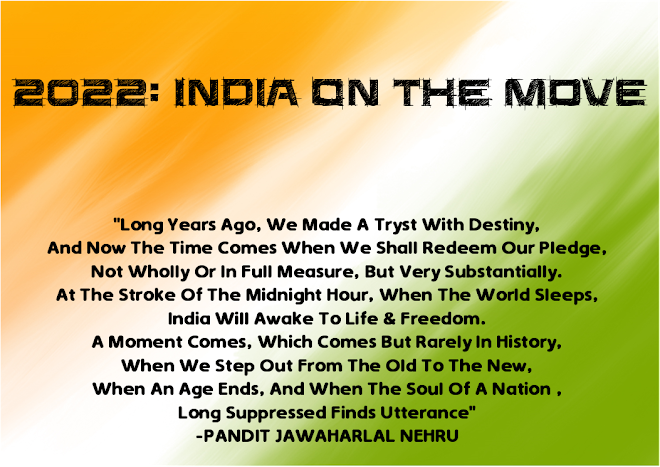 “Our country faces a multitude of security challenges. We require vertical lift capability across a very diversified terrain—places from the sea level to high-altitude landing grounds. 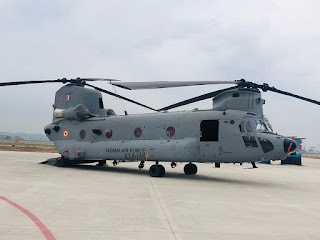 We have procured the Chinooks with India specific enhancements to increase the flexibility of the platform across the entire spectrum of heavy-lift operations, including search and rescue and air ambulance roles,” he said. India and the US signed a government-to-government deal in September 2015 for 15 Chinooks with an option of buying seven more platforms. The Chinook is considered one of the most modern heavy-lift choppers in the world. 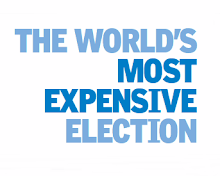 It can carry goods and cargo of up to 10 tonnes, including men and machines, such as heavy machinery, artillery guns and even light armoured vehicles, to high altitudes. The first Chinooks arrived in India from the US in a semi knocked down condition last month. The first Chinook airframe manufactured for the IAF was tested in the US in July 2018, followed by training of the pilots and engineers.